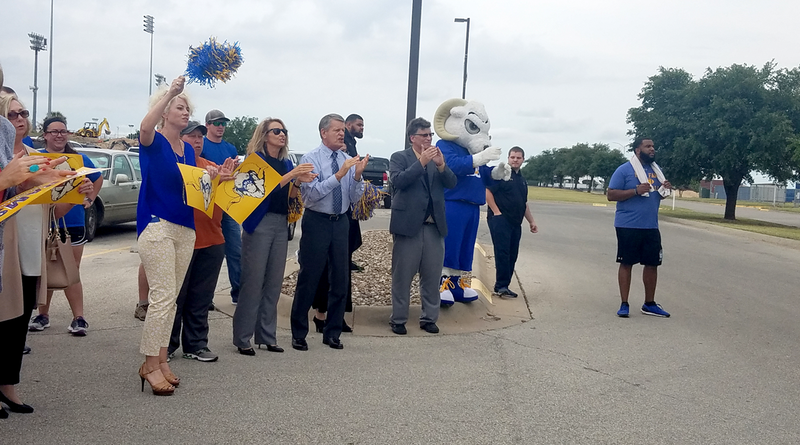 SAN ANGELO, TX – Among an enthusiastic crowd of Angelo State University (ASU) Rambelle Softball fans, the Rambelle Softball Team was welcomed back from their trip to Salem, VA., as NCAA Division II National Championship Runner-Up. Before entering this past weekend's tournament, the Rambelles had won their 5th NCAA Division II South Central Regional Championship and 7th Lone Star Conference. The Rambelles finished their season 60-7. Head Coach Travis Scott thanked the fans for showing their support at every game and event. He extended an extra thank you to those who has tuned-in to the four hour radio broadcast by Jeremy Bryant during the teams game against Minnesota State. Scott also thanked the community for their supportive messages sent through Facebook, Twitter, emails and texts. Even though the loss was tough for the team, losing against a team like Minnesota State made the “taste in your mouth a little less bitter,” said Coach Scott. He acknowledged the Mavericks were a worthy competitor who had a great program and praised them for their sportsmanship. The national win was the first for the Minnesota State Softball Team. Dr. Brian May, ASU's President, also thanked the softball team for their hard work and dedication. He praised them for upholding Angelo State in such a high place and for showing the rest of the country what ASU had to offer. 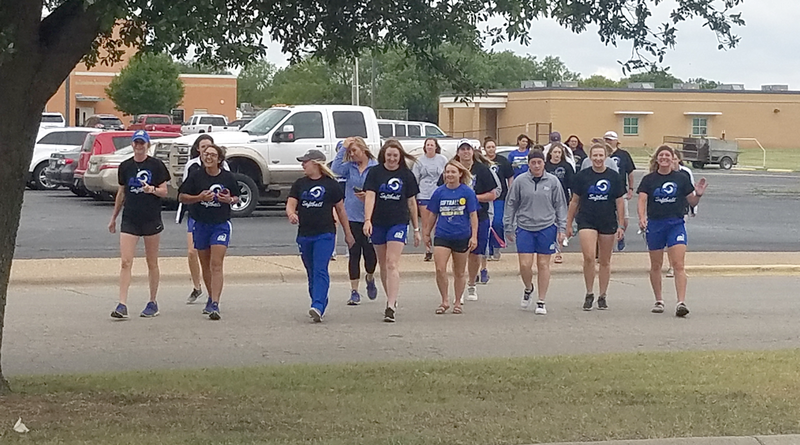 The Rambelles thanked everyone in attendance for their support at the greeting and throughout the season. They added that they were very happy to be back home in Texas. ASU students and friends of the Rambelle's were very proud of the girls. “I feel proud to be a Ram" said Nick Ellis, a current ASU student. He added that he is proud of the numerous sporting events and the various sports teams ASU has on campus. LIVE! congratulates the Rambelle Softball Team for all their accomplishments this past season!